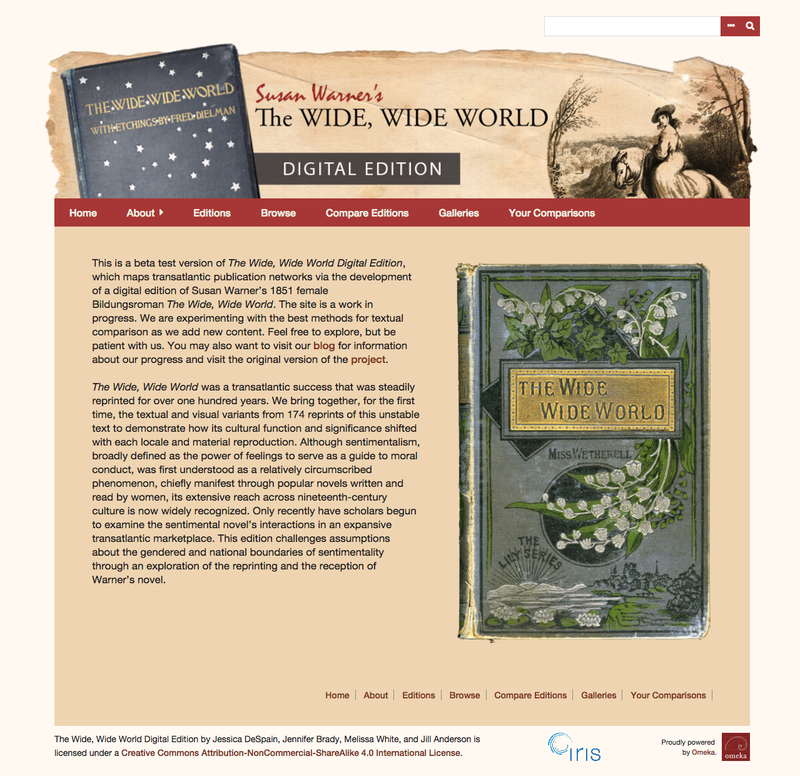 For a number of years now, the Wide, Wide World Digital Edition has used the Omeka web publishing platform. We have not, however, kept up with updates to Omeka software, as more recent versions configure their themes and database differently. The newer version has grown increasingly tempting, as it both allows for more flexibility in creating exhibits and has a built in responsive design, meaning the website will be viewable on smaller-resolution phones and tables. Thankfully, my growing expertise in web development has given me the confidence to attempt the update. 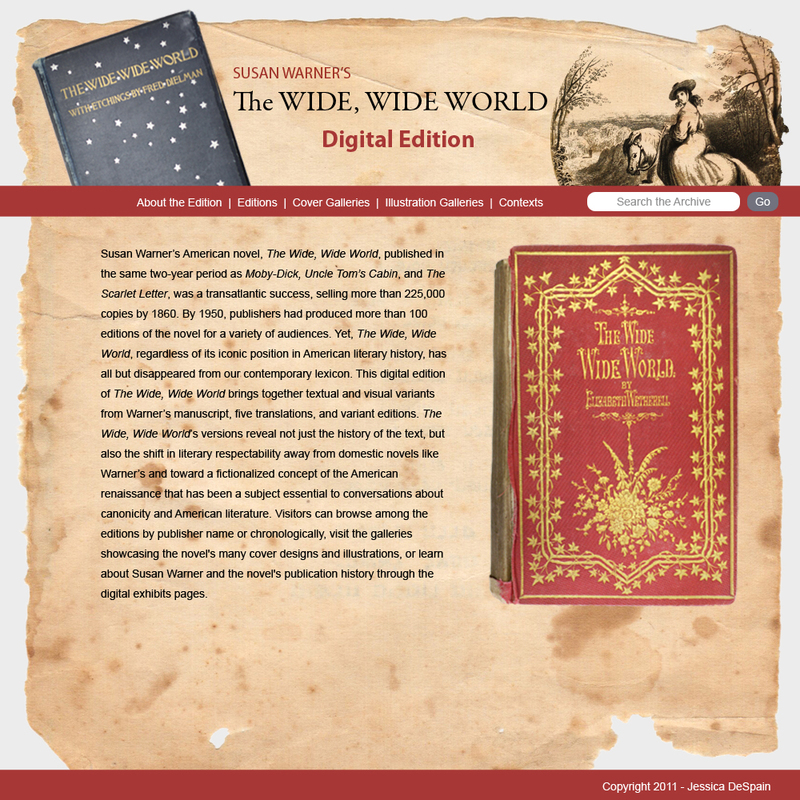 Already I made a few minor tweaks to the website’s theme this past spring, but now we’re heading for a larger update to the latest version of Omeka. 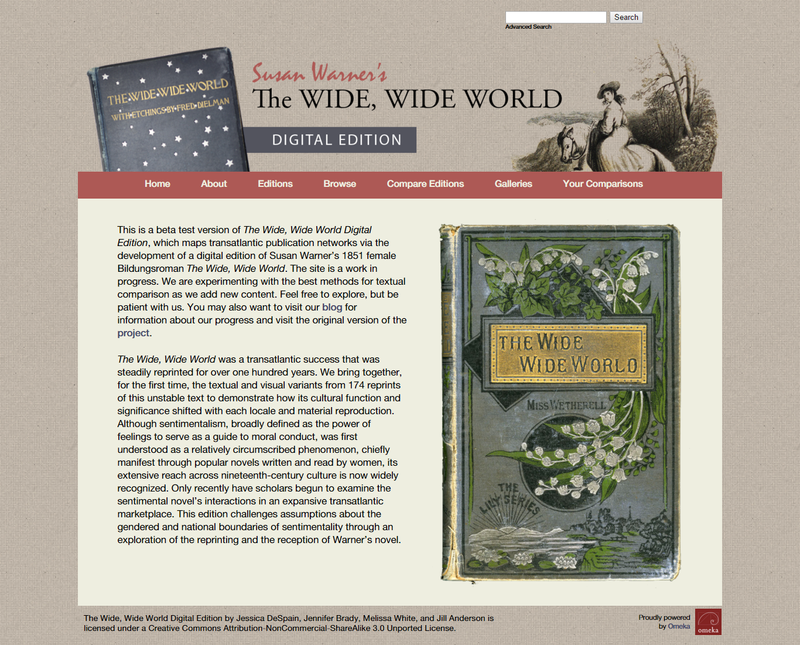 Thus far I have made a newer theme compatible with the latest version of Omeka that is also responsive. I am not yet done with the theme. It is likely I will replace the blue-green book cover with a red one to tie it to the color scheme. I will also possibly add a subtle texture to the background. Still, look forward to that update sometime soon.